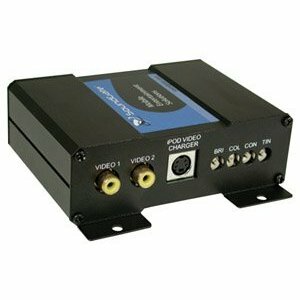 The VIDHOND2V3 allows you to add up to 2 video signals (DVD, VCR, rearview camera, game console, etc.) to the factory navigation systems in the Acura and Honda vehicles. Listed below. Note: The VIDHOND2V3 provides video input only. To input audio signals, you will need an additional interface (sold separately- see below). The VIDHOND2V3 utilizes microprocessor control, ultra-reliable surface-mount construction, and advanced firmware design to flawless match the video signal from the new sources to the factory system. The VIDHOND2V3 is also equipped with brightness, color, contrast and tint adjustments to allows you to get the best quality pictures possible.